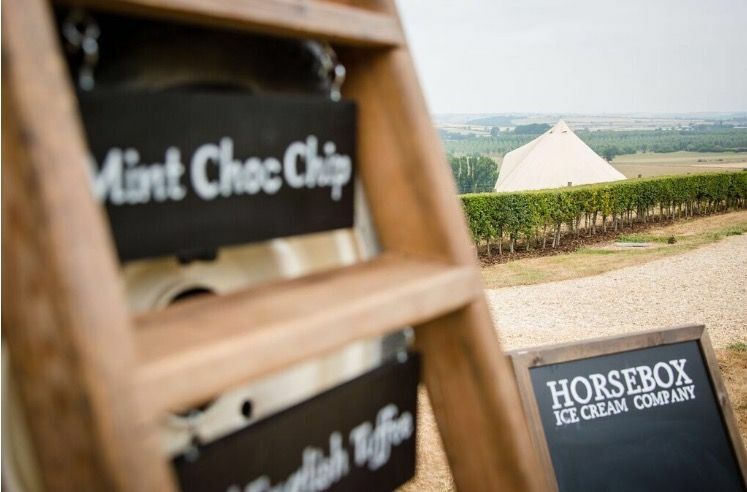 As every event is different we would prefer to discuss you requirements so that we can ensure we give you the most competitive price for your event. 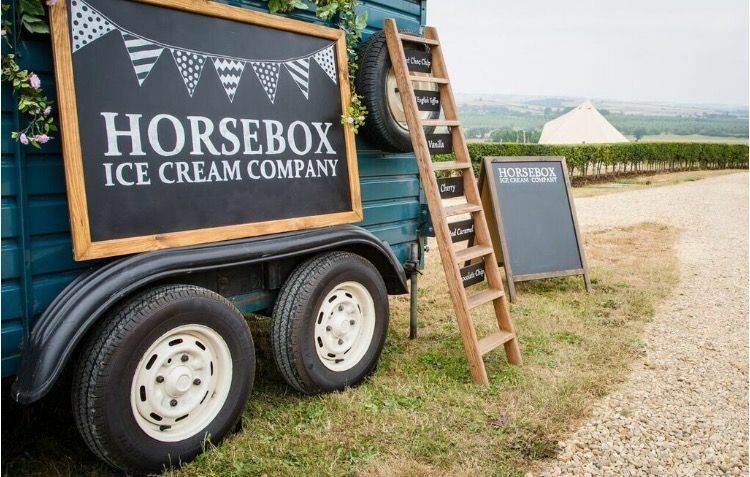 We are ‘The Horsebox Ice Cream Company' and we are a fabulous feature at Weddings. 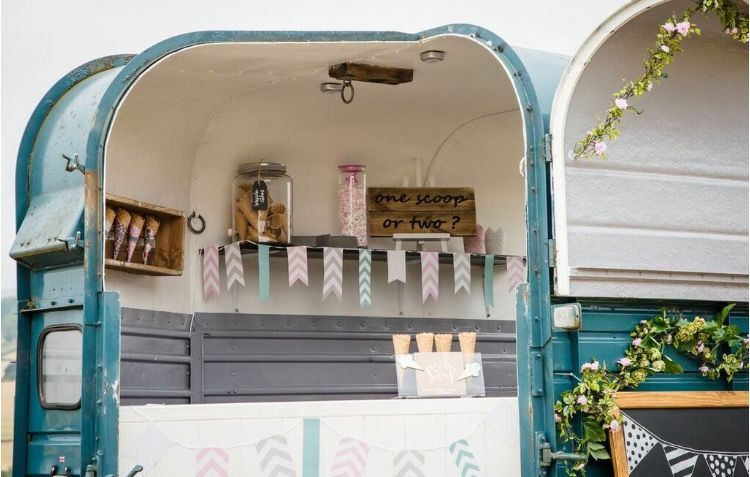 We don’t just provide ice cream at your wedding we hope we help to make your day more memorable and enjoyable for guests. 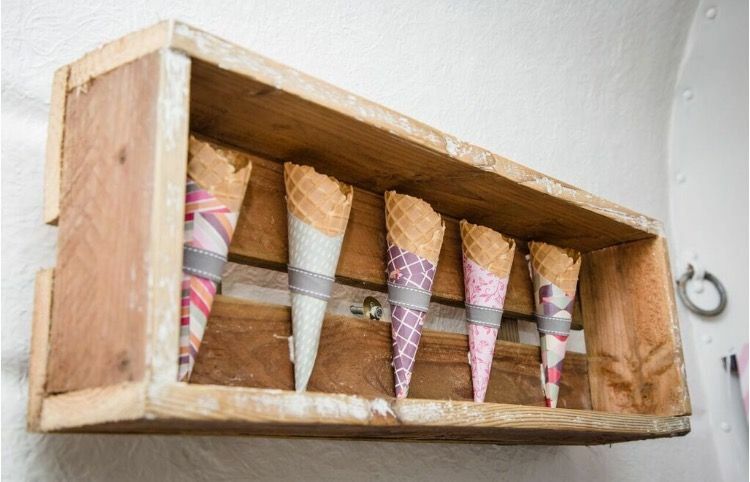 We serve our ice cream in lovely waffle cones that are wrapped in patterned napkins in a choice of over 45 delicious flavours and the ice cream we sell is all produced locally. All guests are given the choice of sauces from chocolate, white chocolate, dark chocolate and caramel to strawberry, raspberry and lime. We also offer sugar strand topping , Cadbury chocolate pieces and of course the option of a Cadbury’s flake. 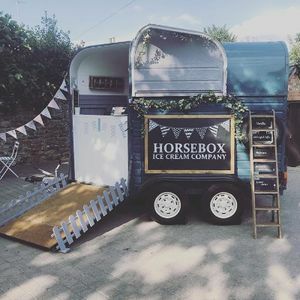 Ice cream, Sauces Sprinkles, Tubs, spoons, staffing, hire of horsebox.